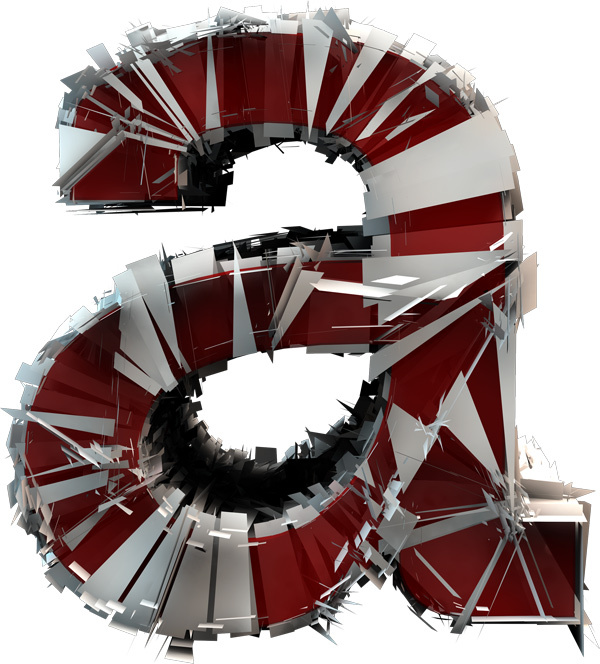 Shattered 3D Font Complete is a unique font that has unbelievable detail making your designs stand out! This is the complete version which includes both upper and lowercase letters, numbers, symbols, backgrounds, and the must have particles. Each letter has gorgeous shattered elements that are perfectly lit in 3D. The default color is a deep red, however, you can easily change the color by adding a Hue/Saturation adjustment layer inside of Photoshop.This font must be composed by hand. Each letter comes in its own PNG file with a transparent background. Although each letter differs, the dimensions are approximately 2564 x 2854 pixels at 300 PPI. Particles – Add more depth and uniqueness. Cool! Glad you like them. Send whatever you make our way. We would love to see it. This is great for stunning designs, such as billboard. That was exactly what we were thinking while making it. Wow what an amazing looking font. Only from the guys from MM! That was very nice of you. Thanks! very very nice, love it! 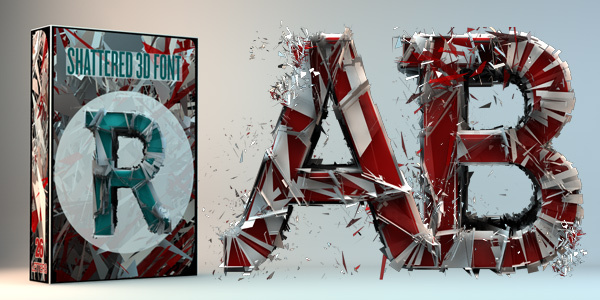 Great font….really cool shatter effect. I can definitely see using this in some posters and such. Great work as always Jeya! Awesome! Definitely gonna use it in a project. Thx for sharing! Realy amazing work!! thanks for sharing it! Looking forward to using these. I am wondering were these created in PS only?, and if so, how long did it take? Thanks! 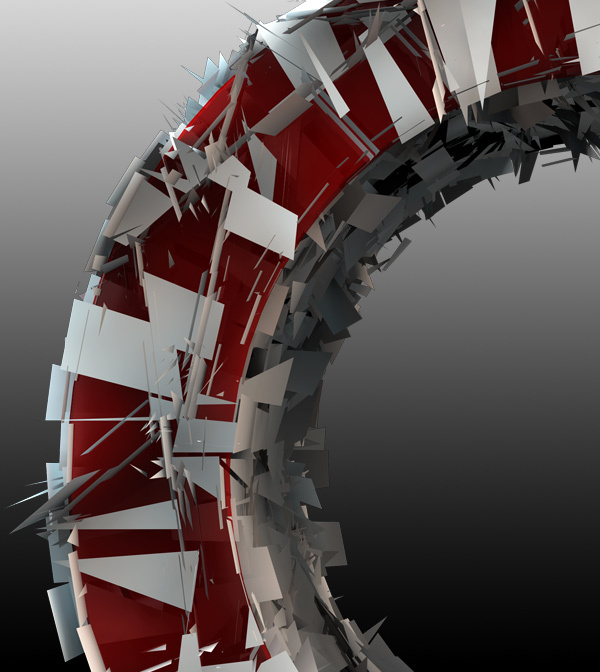 They were created in Cinema 4D with some fine detail adjustments made inside of Photoshop. It took a while to render out each letter and compose each letter. That’s why there is a premium version of this font. This is a fantastic shatter effect. Media Militia are awesome. Thanks guys! Pretty amazing find! I totally love this and will come in handy in the future! Thank you so much! 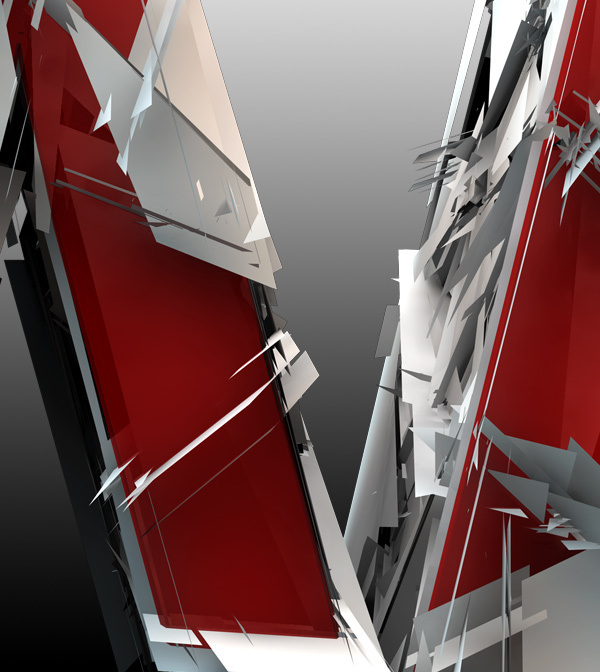 Nice..thanx..i did this stuff in max..but your versions are cool. Awesome! Great tutorial man. I will send you, free of charge, the complete version of this font. Same goes for anyone else. 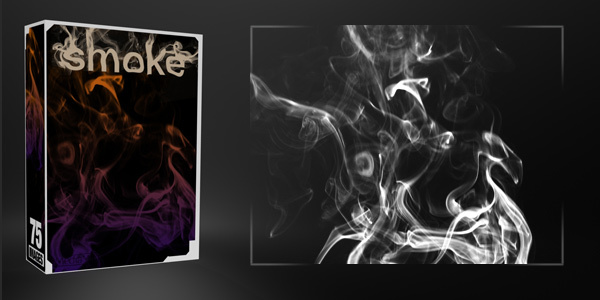 Create a tut using this font and get the complete version for free. will be in my portfolio once the full package of Design is done!!! Thanks dude! It is soooooo usefull! Awesome stuff! Thanks for sharing it with us. and one that is just a F ? Very nice, cant wait to use this font in photoshop and after effects. MM has done it again. Ps- Mr. James Reid your tut was helpful and inspiring. Wooow, it’s very nice, excellent merci! hey, this font is amazing! what is the actual base font used for it though? ESTA FUENTE ESTA MUY BONITA. LA ESTARE USANDO PARA UN BUEN PANEL. THIS SOURCE IS VERY NICE. LA will be using for a good panel. Can it be used for commercial release to create a logo for a singer ? There is rights on it ? You authors of mediamalitia are absolute gods among men. I salute you! Thanks for that. I really liked it. I think I am going to get premium. By the way, I just found this website and I loved it. One of its kind.. keep it up! Superb fonts! I liked it..
Nice work, i love mediamilitia !!! Super cool man. A times I tell maself there should exist a software that converts jpeg to vectors. Right? 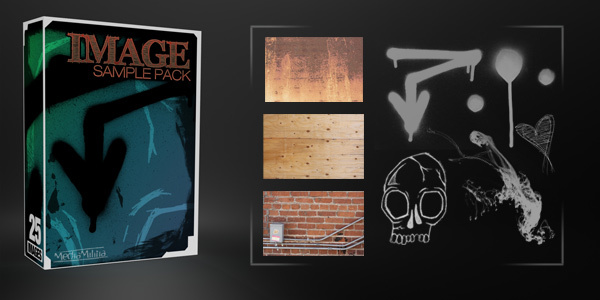 Anyone who has tried out the free download will want to purchase the full package. Simply a great font. Thanks. That is one insane, cool, detailed font … will find a use for this somewhere no doubt. Nice work, and great resource. wow i lke dat . tnx 4 dat but its size is too big ! Wow! thanks! Can you suggest ways in changing the color of these? So this is a great thing, it’s freaking awesome really. I got the complete version & I’ve had a lot of fun playing with it. Haven’t really made anything serious, just fun stuff. I made 2 copies of the entire set re-sized to 50% & 25% for easier usage since they are so large. I sincerely (I mean really, really) wish the set included the four suits from a deck of playing cards, then I would love it even more. Maybe an add-on pack? Thank you! Can’t wait to play with this. 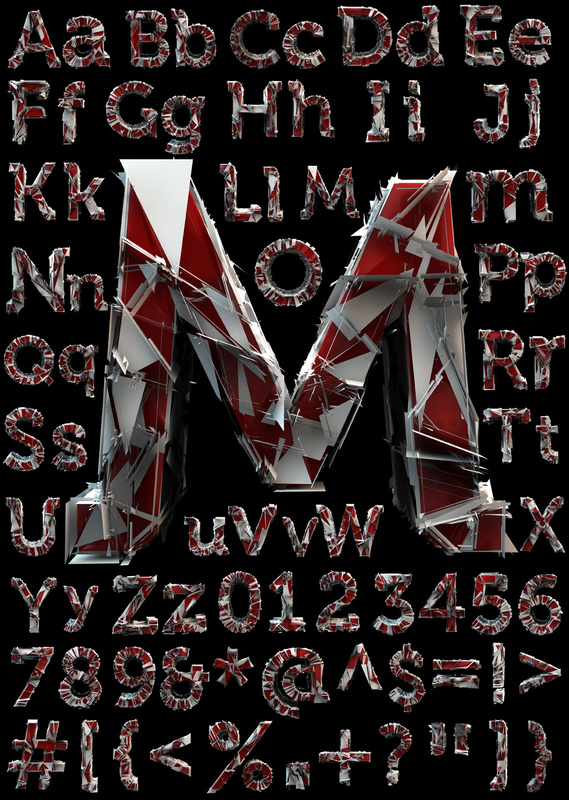 Is this a manipulated version of Museo Sans? 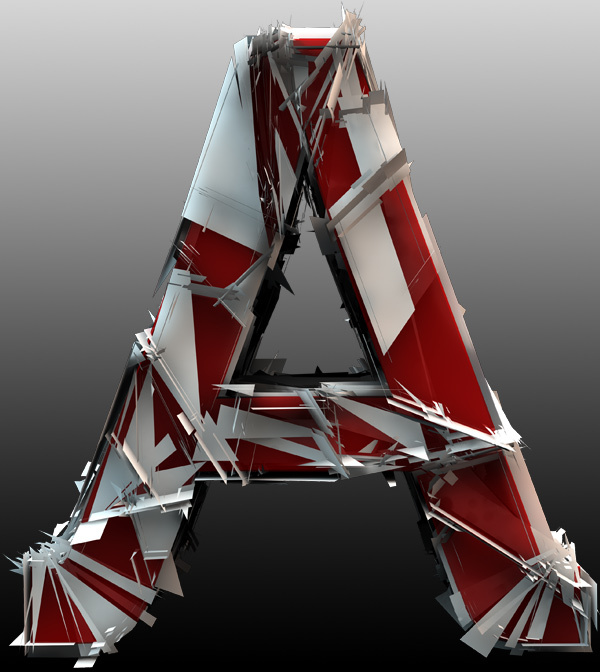 Hi, i downloaded the free version and extracted it but Then i got the folder with images of the letters, how can i import it to Cinema 4D, can anyone help me plzzz? Hi can anyone tell me how to get the font into Cinema 4D?it’s Image so i can’t upload it to “Fonts” so i can use it in cimema 4D, so anyone can help plssssss? Thanx a lot for sharing this. Your website is incredible *. * .. can you put also the number of this “font” ? Thanks a lot for the free content. Will come in handy for future projects. Keep up the good work. I’d just bougth it, but the download link is’nt in my mail box. Please help me. Strange. I emailed you.Sorry about that. can i use these beautiful font for commercial purpose?such as making content for stock sites! Amazing stuff! 🙂 I also would like to use it on one of the Stock sites (and link to your website of course!) , but can I include some letters to the main package? Normally I don’t include anything, because I insert link to the font file but here we’ve got high resolution rendered letters so selling design without any example make it little complicated. Wow this looks cool, I’ll try them now. 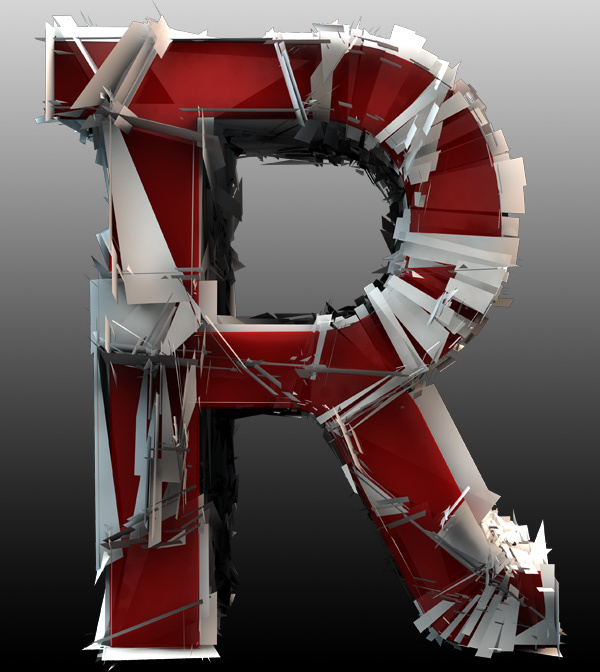 Hey nice font but i m a newbie so i dont know how to use this in cinema 4d can anyone help me out. Very cool. Thanks for showing us that. Good work. Thanks…share with us what you do with it! i made something very quickly 🙂 http://aijaa.com/0066110841677 i used 3D fonts, paint spills and a background from MediaMilitia. Just had to do something with this awesome font! This is so creative 🙂 I simply love it. Thanks! Just bought this font. I saw it when it first came out but never had an opportunity to use it. I love the way it looks, even after all this time. Know it can be used commercially and even in stock photo site. But I was wondering. Can I use a couple of the capital letters in my business trademark if the letters are merely part of the design and not the whole design? Are you allowed to use this for a company logo when you purchase it? what programs do U use this with? How many months took to make those :O Amazing! I just love this font. I used it in the artwork for my bootleg remix of Rough Boy by ZZ Top. The image is on my Facebook channel. Thanks again! This is really cool but I’m having trouble installing it. My problem is that I can’t use the font becuase I can’t download the folder as a font so I’d have to download each letter as its own font. My good friend all your gifts on here are brilliant thank you so much for all your hard work. This is a great post guys. I really like this shattered effect. I am going to do some experimentation with this particular style and will send you what I have created. Thanks for sharing as always.